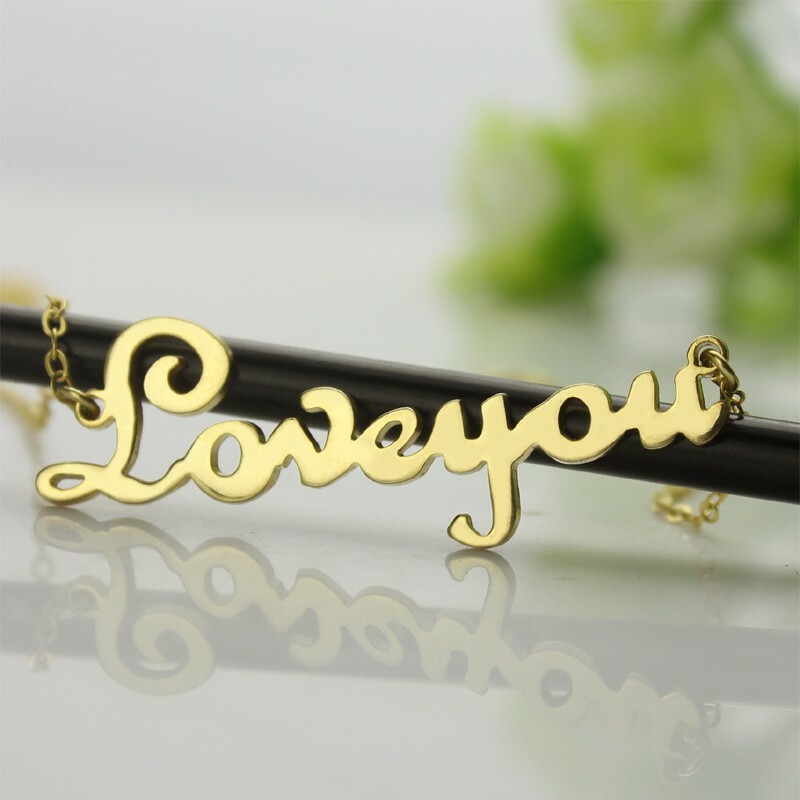 Style: Name Necklace/Love Necklace Pendant Size: 3-4.5 cm(1.21"-1.8") Hook: Double Hooks Chain type: Cable Chain Material: 925 Silver Style: Name Necklace/Love Necklace Pendant Size: 3-4.5 cm(1.21"-1.8") Hook: Double Hooks Chain type: Cable Chain Material: 925 Silver Personalized Cursive Name Necklace 18K Gold Plated - Sometimes it can be hard to tell a person exactly how you feel about them. There is no better way to express your love than the Love Necklace! The love script necklace is extremely popular in fashion circles today, with everyone wanting to ‘Gold I Love You Necklace’ around their neck and close to their heart. Anyone who receives this necklace will instantly love it AND the person who gave it to them! Costume jewellery is worth considering if you're going to work and don't wish to wear any jewellery that has a high value attached to it. 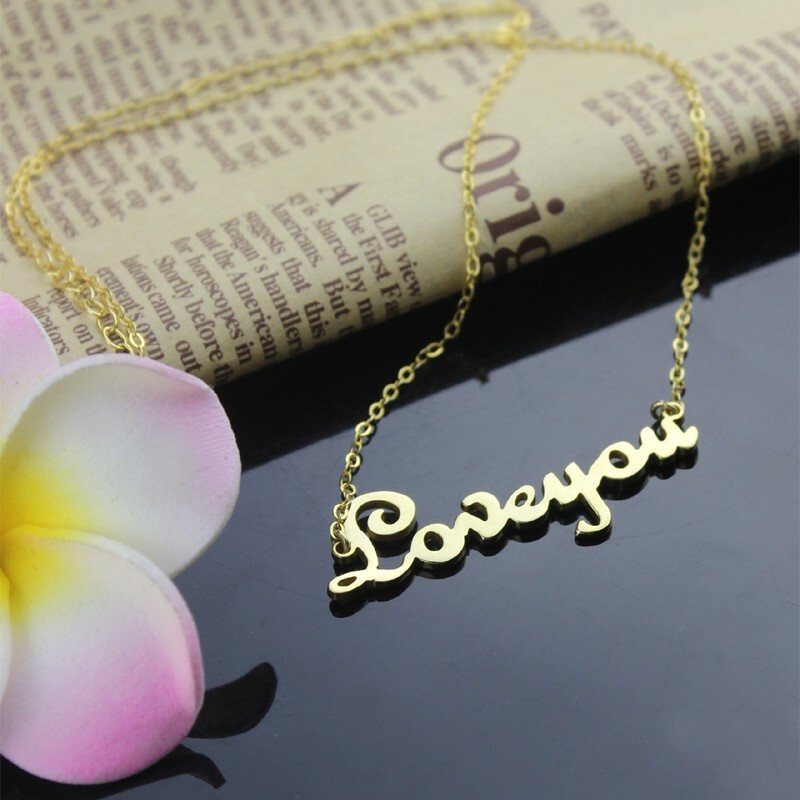 Costume pieces of jewellery don't contain any precious metals or gemstones, which makes them highly affordable and widely available. 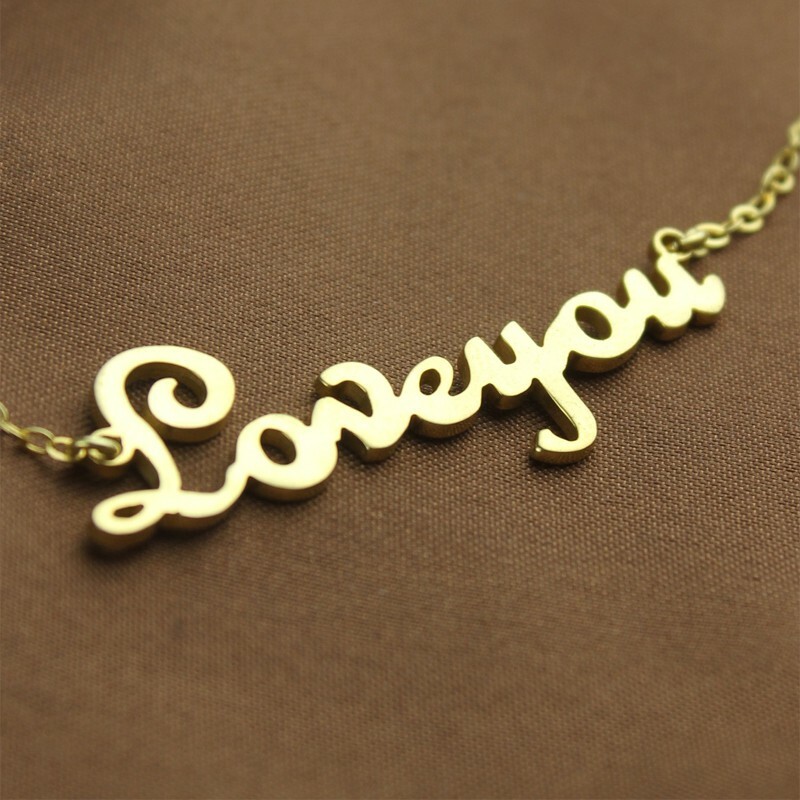 This type of jewellery does tend to tarnish over time and cannot be shined with a polishing cloth. 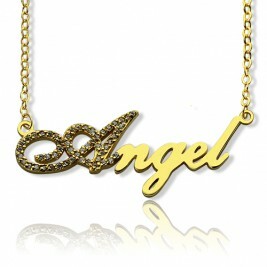 I purchased this beautiful necklace as a gift for a young lady making her First Holy Communion. 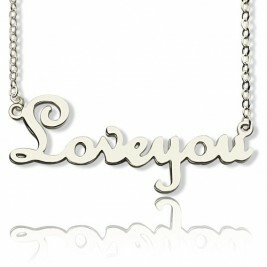 The name pendant is tiny; but the cameo and gems are high quality. Very proud to give this as a gift. I was very pleased with this name necklace, it is very pretty and exactly what I wanted as a present for my daghter in law from her girls ! It seems to be made well but it is very petite. 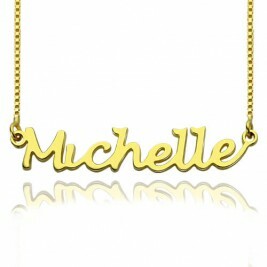 I ordered this name necklace for my daughter before she left to study abroad in Italy. After placing the order, I received it next day. It's the perfect length and size and she loves it. 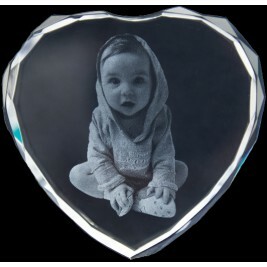 My daughter and I were using a large wine bottle to display our handmade necklaces for photographing. This gives us a classier way to display and photograph our work. Great product. 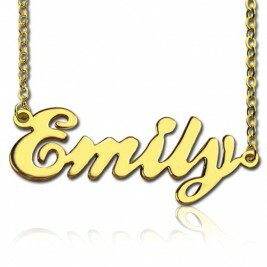 I love the Victorian Era and that is what this name necklace reminds me of. It is more beautiful than I expected and I LOVE it ! 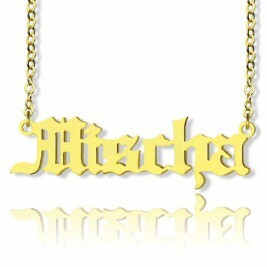 The stones are very, very small, but overall I am fairly satisfied with this name necklace. 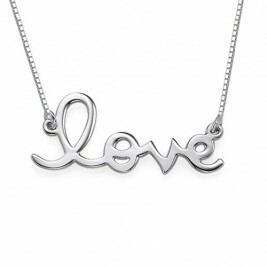 I would recommend it for someone buying jewellery for a family member or a daughter.
" Beautiful, detailed, and very high quality for the price. Am v ... "
" This was a gift and was lovely and beautiful. Not too big, not ... "